Forex trading, or the exchange of currencies on the foreign exchange market, is the largest market in the world. As such, legions of potential traders are drawn to it each day. Newcomers range in their motivation from simple curiosity to ambitions of becoming self-sufficient traders. It’s easy to see how traders are attracted to this market. With high leverage combined with a quick pace, this market offers the potential for rapid gain. However, this is a double- edged sword, and you’ll find equal, if not greater, potential for rapid loss. Therefore, one should be researched on the market and strategies before heading in, as this can be a particularly unforgiving market for the inexperienced. It’s important to be familiar with the most popular trade strategies to have a chance at success. Day trading is a popular method weighed heavily on its daily win-rate. Essentially, you’ll want more than 50 percent of your trades per day to be “wins” in order to be profitable. An advantage to this strategy is that it doesn’t require much capital to get started. Conversely, a disadvantage is that trading in small amounts makes is difficult to earn big profits. Swing trading is a strategy set more in the medium term. This is often a study conducted over the period of one week. The ichimoku cloud is often consulted for this trade strategy. This system helps traders see longer term “swings” in value in investments. The purpose of this is to counter the short term movements seen in day trading to allow for greater profits over time. Position trading is a type of long term trading that focuses on large scale trends over extended periods of time, often weeks or months. Disadvantages of this type of trading are that it can be difficult to predict long term trends, and gains are earned at a more “slow and steady” rate. Advantages are that you don’t have to risk large percentages of your account on each position to be profitable, and since it’s a more long term game, you won’t have to be constantly watching over your positions. Regardless of which kind of trade strategy you want to use, it’s crucial to understand that this type of trading is often punishing on newcomers. It’s worth considering bringing an expert on-board when starting out, because forex trading can be riskier than most other investments. 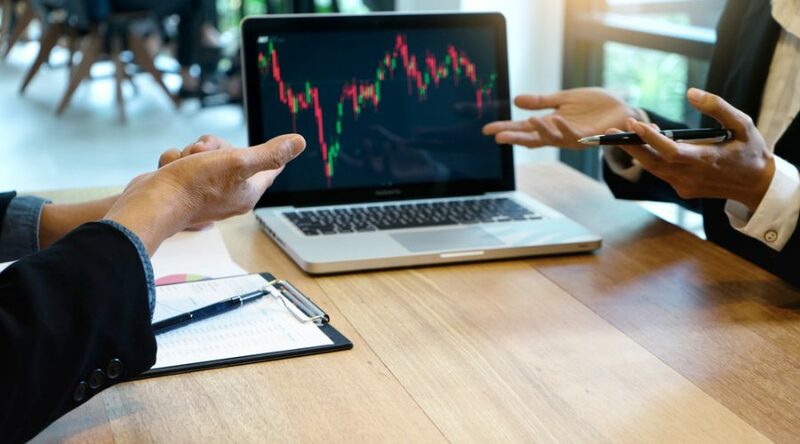 Finding the right broker tends to be a challenging process, considering their costs in the forex market can work differently than other markets (they may charge spread markups instead of commission, or they may charge both). Ideally, when first exploring the market, you’ll want a broker who can offer educational materials and strong customer support. The more you can learn from the get-go, the better off you’ll be for your future. No matter what kind of trading strategy you employ, the best thing you can do is show patience while you’re learning and refrain from acting on your emotions. Reacting too quickly to a rise or fall in any market can cost you greatly. An even temperament can be just as important as your knowledge at certain times. It’s also important to remember that this is not a “get-rich-quick” opportunity. Avoid getting frustrated if things aren’t immediately going the way you hoped. It’s nearly a sure thing that you will suffer some losses similar to your gains, especially at the start. If you want to make a 50 percent profit in a year, don’t be shocked if you take close to a 50 percent loss at some point. After all, It takes money to make money.